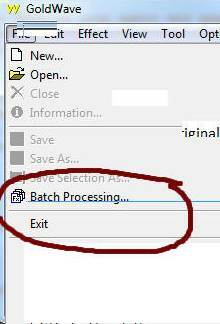 Batch Converting MP3 files to Wav files for Second Life. I make MP3 sounds into wav files with Goldwave (http://www.goldwave.com/) in batch mode. Download and install Goldwave, then run it. 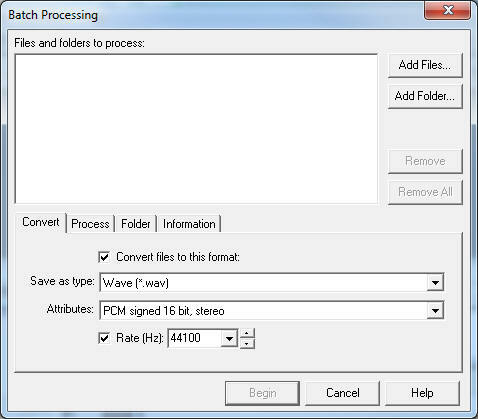 Click Add files or Add folders, add as many MP3 files as you like, and select Wav file, 44,100 as output. 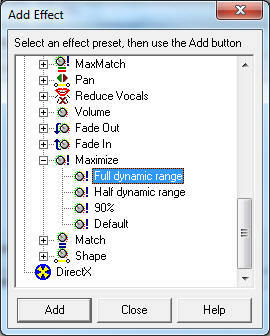 I prefer my sound files to be as loud as possible so I can control the full volume effect in Second Life. 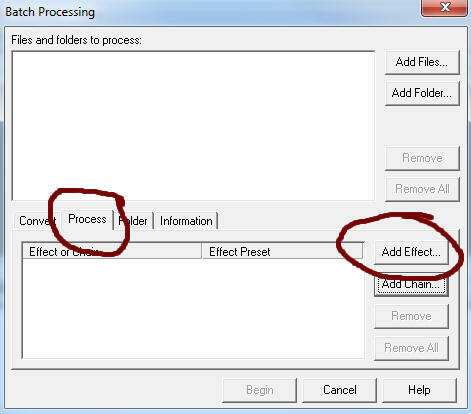 To do this, click the Process Tab and Add Effect Tab. Click Begin and you will have Wav files ready for use with Slice.